Add a little whimsy into your garden design with the unusual anemone dahlia flower form. A tightly packed pincushion of little yellow florets is a quick pick-me-up in tired summer borders. It's also a charming cut-flower variety. 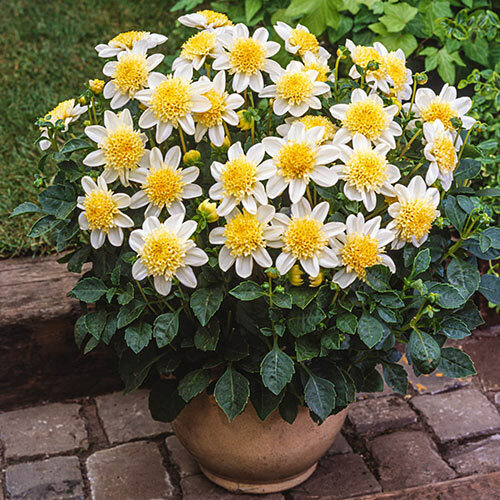 The habit is compact, so Toto Anemone Dahlia is an absolute darling in a patio pot. 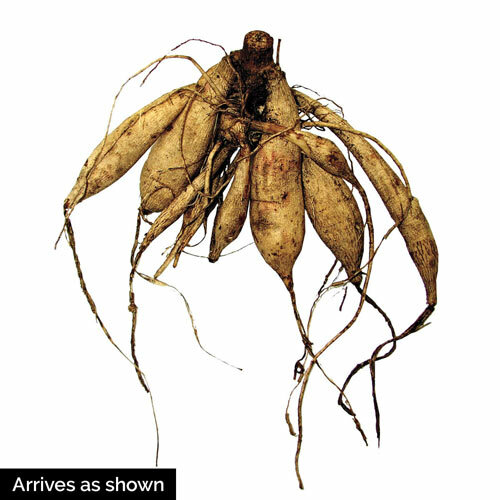 Anemone dahlias are tender bulbs you'll likely be lifting in winter, but we suggest storing them, as they grow back quickly and easily when planted again the following spring. The bloom season is long, lasting from summer to fall. Most guests will adore the show, but hungry deer tend not to bother dahlias.